Published on 28 September 2012. 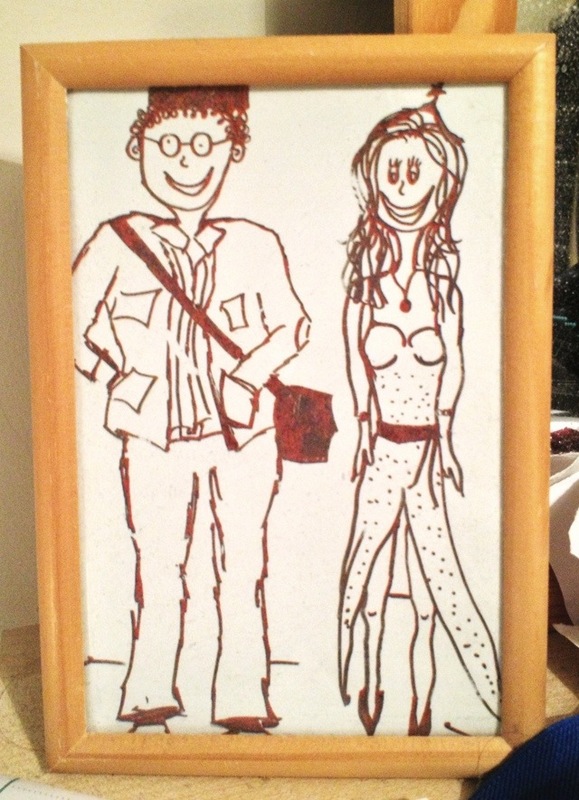 Wendy drew this picture of us on a whiteboard shortly after we started dating. I took a photo, printed it, and framed it. Almost a decade (and several house moves) later, it’s still sitting on her dressing table. This 1,828th post was filed under: Photo-a-day 2012.